Twilight Language: Cycles: What's Next? 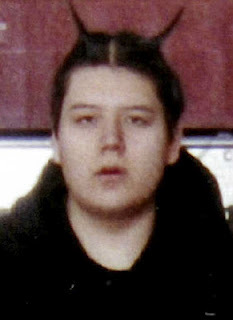 then himself in Red Lake, Minnesota, on March 21, 2005. One becomes keenly aware of the cycles of these phenomena. Growing violence over the winter of 2005 appeared to predict the coming of a "red danger zone," resulting in the Red Lake Massacre. We should watch closely the indicators forthcoming. I foresaw something happening like that, and wrote of it on March 18, 2005, and it came to pass on March 21, 2005. Strangely, the Red Lake incident seemed to involve some Bigfoot hints to it. The Randy Lee Tenley event on August 20, 2012, where he dressed ("masked himself") as a Bigfoot to create a hoax, and was struck dead on Highway 93, in Montana, has given many pause to consider "why now"? Nothing like that had ever happened before. Several threads are coming together, bizarrely. Oh golly I do hope you are wrong in suggesting that Israel WILL strike Iran. Opinions are divided, but I am inclined to think it is a bluff. Great links and descriptions in this post, and the bigfoot connections give a profound note of America's lost and hidden history, which still exists, and has its spheres of influence. John Hogue, of the hogueprophecy.com website, and well known expert on Nostradamus, has said he doesn't see a war with Iran until sometime between 2014 and 2016. Usually he seems right about his predictions, so I'm not worried about war breaking out, for the moment. I wish I knew what to look for and how to read the indicators, or even ask the right questions, when looking at various stories in the news. But now that you bring up that odd Bigfoot ?news item, it does seem strang, 'why now' for such an incident? "Assassination" in the Alps: Israeli Hit?